says "Rangeela Raja is a Hindi movie starring Govinda in a prominent role along with Digangana Suryavanshi, Anupama Agnihotri and Mishika Chourasia . It is a comedy-drama directed and produced by Pahlaj Nihalani." to get instant updates about 'Rangeela Raja' on your MyPage. Meet other similar minded people. Its Free! 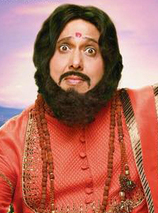 rangeela raja says "Rangeela Raja is a Hindi movie starring Govinda in a prominent role along with Digangana Suryavanshi, Anupama Agnihotri and Mishika Chourasia . It is a comedy-drama directed and produced by Pahlaj Nihalani." rangeela raja says "Raju Rangeela is a Hindi movie starring Govinda in a prominent role along with Digangana Suryavanshi, Anupama Agnihotri and Mishika Chourasia . It is a comedy-drama directed and produced by Pahlaj Nihalani." rangeela raja says "Raju Rangeela is a Hindi movie starring Govinda in a prominent role. It is a comedy-drama directed and produced by Pahlaj Nihalani." Raju Rangeela is a Hindi movie starring Govinda in a prominent role. It is a comedy-drama directed and produced by Pahlaj Nihalani.